Grain shipments by rail are off to a slow start so far in the 2016-17 crop year, hampered by poor harvest across much of western Canada. 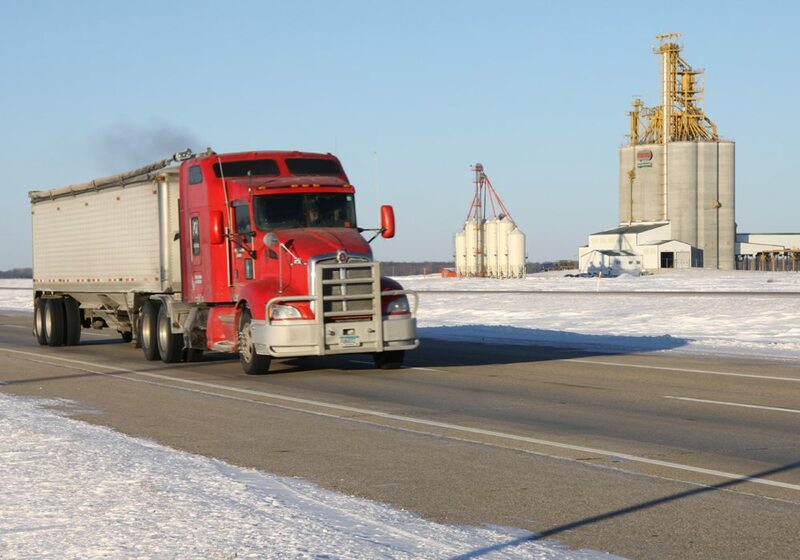 But the pace of shipments is likely to pick up soon and the grain handling and transportation system will probably be running at full capacity by mid-September, according to the head of Canadian Pacific Railway. “The strength of the grain harvest is there and we’re suggesting it could be a record crop,” said CP president and chief operating officer Keith Creel during a global transportation conference in Boston, Sept. 7. Creel said wet weather over the past few weeks has slowed harvest operations meaning shipments of grain across CP’s network are 4,000 to 5,000 carloads behind what was anticipated to this point. Those carloads will be moved at a later date but the revenue derived will be deferred to a later date on CP’s fiscal calendar. Creel said there is no reason to believe that the grain handling system will encounter problems similar to those that emerged in the 2013-14 crop year. That year, unusually harsh winter weather hampered railway company efforts to move a record-sized crop in western Canada. Creel said investments by both railways and grain companies has significantly enhanced the system’s throughput capacity. Grain companies have spent hundreds of million of dollars on improvements at West Coast export terminals and inland elevators. Railway operations have also improved their programs offering shippers more certainty in terms of rail car supplies. CP’s dedicated grain train program, for example, gives Canadian grain shippers a greater level of assurance in terms of car supply. It also encourages shippers to load unit trains more quickly. CP will run 53 dedicated grain trains in Canada this year. The program was introduced in 2015-16 and is sold out in Canada this year, Creel said. Overall, the system is better prepared to handle a record or near-record crop, as long as winter conditions don’t cause system-wide disruptions. “Capacity is much greater than it was in 2013-14,” Creel said. Creel said CP is anticipating strength in bulk shipments of potash, coal and grain in the months ahead. Together, those three commodities account for roughly 60 percent of the railway’s business.